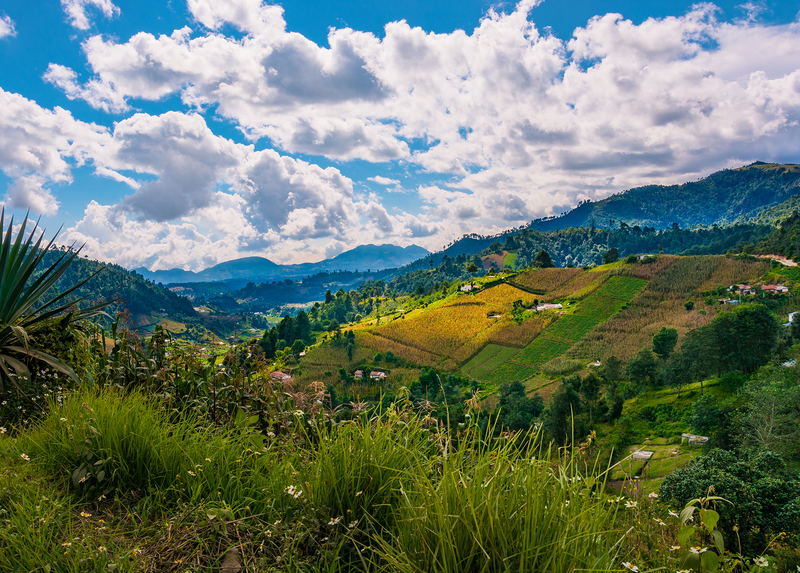 Guatemala is a country with a great variety of agricultural products, due to the diversity of micro climates and their broad experience in working the earth. That is why agriculture is a significant sector in the Guatemalan economy, given that it offers job opportunities to 30%+ of the Economically Active Population (EAP). Food trade in the world is unstoppable. Guatemala has innovated in all it processes and complies with the highest quality standards. The sanitary and phytosanitary measures (including food safety, animal health and plant health) are commitments acquired in the commercial treaties and agreements that allowed foreign sales. In response to new trends, the Guatemalan agricultural sector has evolved and counts with strong quality controls, infrastructure, technology and trained personnel, for the protection of local and international consumers. This productive growth, together with the improvement in agrofood processes and the adaptation to trends like “ready to eat”, has generated very good acceptance in international markets. Coffee, sugarcane, banana and cardamom are traditional products that have stood out internationally because they are highly desired and occupy top spots in local exports. In 2016, Guatemala exported US$3.374 billion of agricultural products. Vegetables with global demand, like snow peas, potatoes, tomatoes, onions, broccoli, cucumbers and carrots, among others, have conquered national and foreign foodies because they are fresh, high quality and safe. The ornamental plant, foliage and flower sector, with the production of around 80 species and 200 varieties, decorate different parts of the world. Fruits are also well appreciated. Berries, lychee, melon, mango, plantain, orange, apple, pineapple, avocado and papaya, among many are an example of that. In addition, the sector has diversified in a series of differentiated products like seeds, organics and foods from the country, like: amaranth, sesame, chia, honey, allspice and cacao. The value chains and good practices have improved competitiveness. It is estimated that the agricultural sector occupies 2 million people. In the last few years an important number of women have started working, mainly in post-harvest. Due to the diversification and adaptation to change, the agricultural industry of the country continues conquering new markets. Guatemala is a country with a great variety of agricultural products, due to the diversity of micro climates and their broad experience in working the earth. That is why agriculture is a significant sector in the Guatemalan economy, given that it offers job opportunities to 30%+ of the Economically Active Population (EAP). Food trade in the world is unstoppable. Guatemala has innovated in all it processes and complies with the highest quality standards. The sanitary and phytosanitary measures (including food safety, animal health and plant health) are commitments acquired in the commercial treaties and agreements that allowed foreign sales.